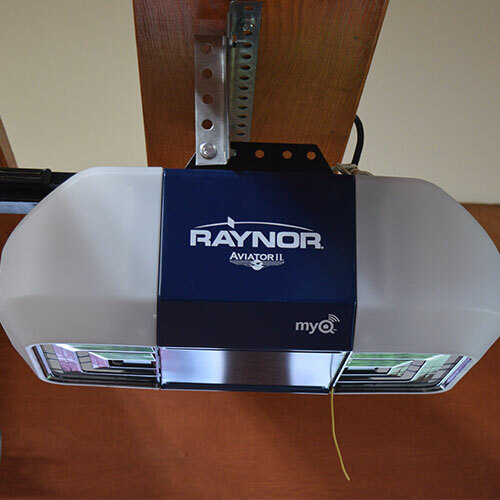 Our Raynor® garage door openers are a great solution for your garage door. Offering belt or chain driven options, you have the choice of getting a standard opener or quietest garage door opener on the market. Our Garage door openers are powerful and easily lift heavy overhead doors, yet quiet enough to not disturb other sections of your home. 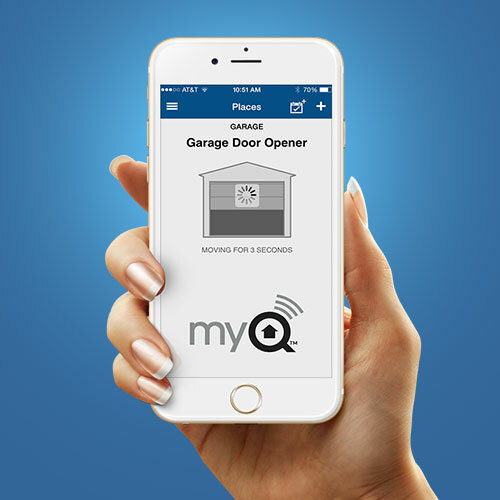 Our garage door openers are equipped with with WIFI & MyQ Technology enabling you to securely monitor your garage door from your smartphone. 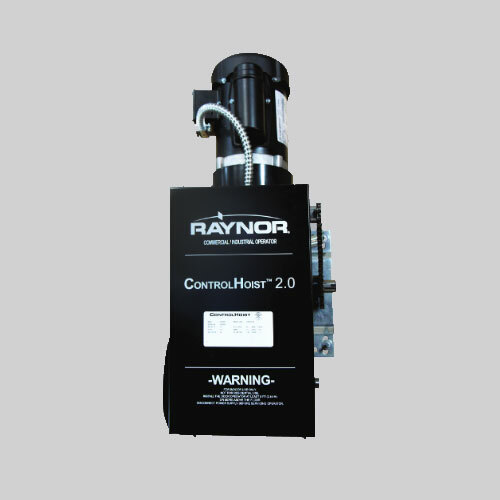 If you are looking for a extra power for you commercial or agriculture location we can help you with that too, our large inventory includes the PowerHoist™, ControlHoist™ & FireHoist™ for extra heavy garage doors. Get started today by requesting an estimate or calling our customer service line. Say goodbye to loud door openers, We offer belt or chain driven garage door openers. Our door openers are equipped for quiet operation, so you can enter or exit without disturbing other areas of your location. With MyQ™ Technology you can safely view your home from your smartphone, ensuring home & business security from any place in the world. 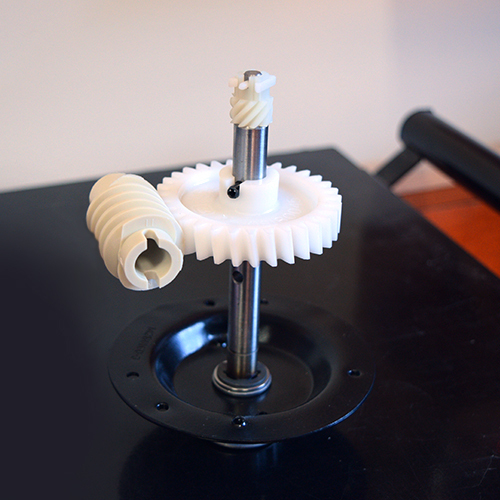 Gear sets keep the openers running smoothly, allowing it to properly open your door with ease and quite operation. 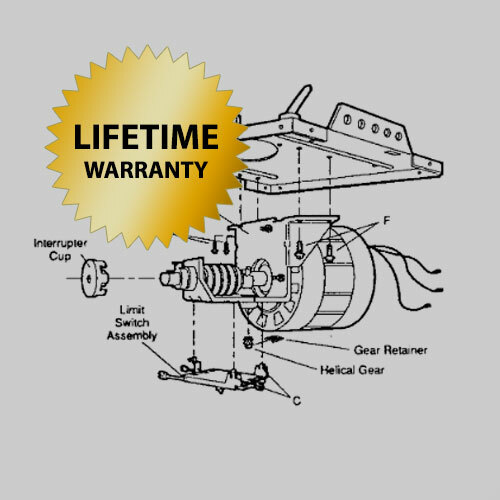 Rest easy knowing you only buy once and never buy again with the Lifetime Warranty from Raynor, when you purchase a Raynor garage door opener. 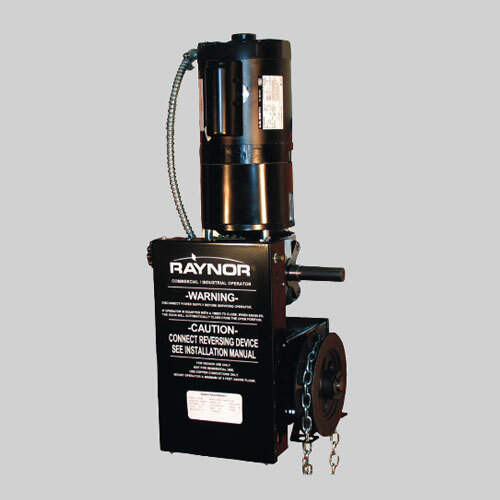 Rugged Raynor PowerHoist™ operators are available in a variety of motor, voltage and phase combinations for any commercial or industrial application. Designed for larger sectional doors, rolling doors and higher-cycle applications, the ControlHoist 2.0 Optima is a heavy-duty, gear driven operator that is built with a continuous-duty, overload protected motor with high starting torque. 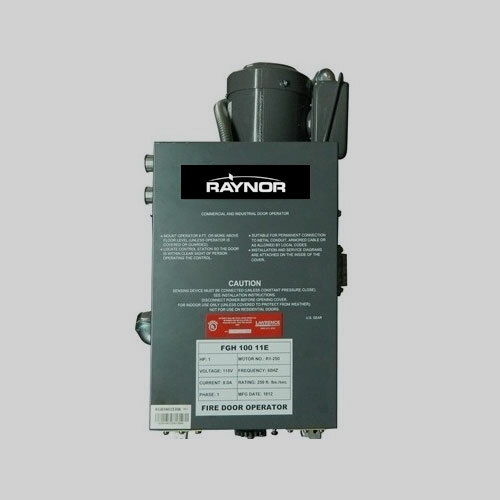 Raynor FireHoist™ fire door operators are UL listed for use with Raynor FireCoil™ fire-rated doors, as well as for retro-fit applications where existing fire doors require new operators.